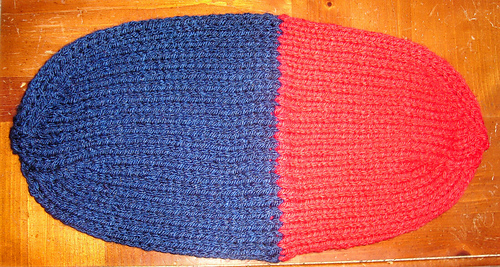 This is a versatile hat can be used on both sides, and it is great for the coldest days because of its thicknest. 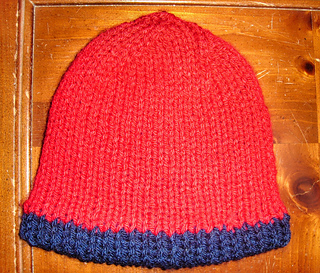 Constructed with a double knitting technique and made with a bulky yarn. Knit Picks wool of the Andes 100% superwash wool, bulky weigth (100g/137yds): # 26518, 1 hank of red for MC, #26521, 1 hank of solstice Hthr. For CC.